The next-generation in lip gloss with both full-coverage color and extreme gloss shine. Collagen complex and light reflecting particles give lips a fuller appearance. 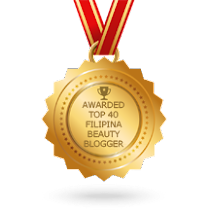 Vitamin E and collagen condition for ultra-soft lips. Unique flow-through brush offers smooth, even application. RETAIL PRICE: Php 475? Will verify. SHADES : Available in more than 10 deeply pigmented, high gloss shades. 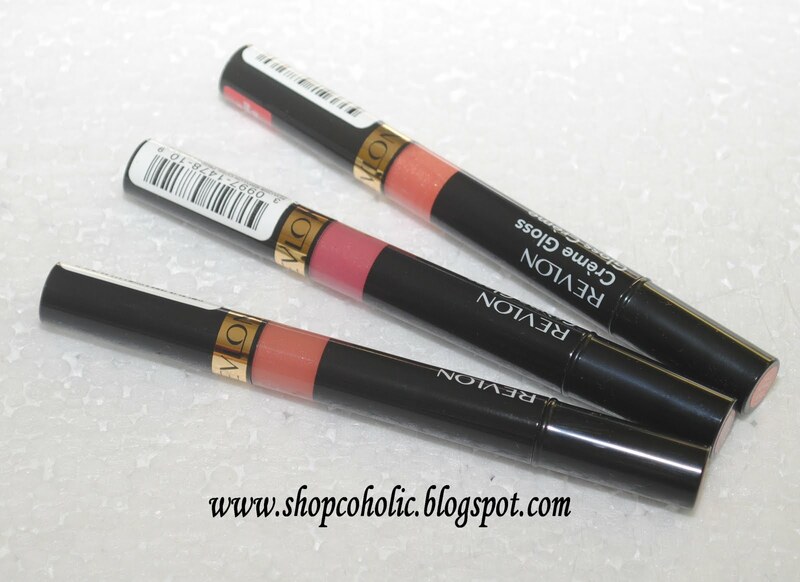 * the brush type applicator and the sleek packaging reminds me of my Stila Lip Glaze. Pen type glosses are hygenic coz you don't double dip. After every use you can wipe the brush with tissue. * consistency is thick - i prefer sticky and thick glosses (like MAC Lipglass and Lancome Juicy tubes) coz they last longer. * i love the smell! Not too overpowering. * staying power is amazing! Applied it at 1pm... occassional sips of water + snacks at 3pm, by 5.30pm the color faded a bit but I can still see a bit of gloss is still left and my lips felt moisturised. * you have to twist the bottom end several times during the first use. Sometimes I end up twisting too much and a lot of product comes out. * container holds a little amount of product (1.18ml). For reference, MAC lipglass has 4ml. * some may find the texture tacky - if you don't like sticky glosses. Don't forget to apply lipbalm first so that the creamy formula glides easily. This is pigmented like a lipstick but with the shine of a lipgloss. Perfect coz i love both! 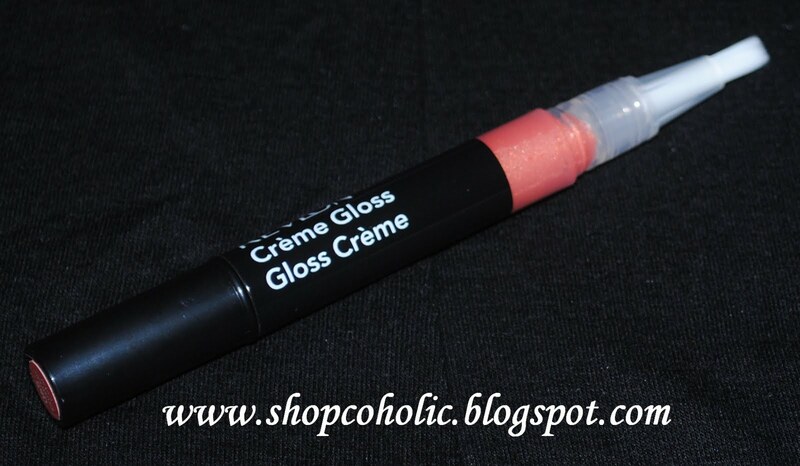 This creme gloss saves me time when I'm in a hurry. Disclaimer : Products were sent for review purposes. Nice swatches! I've been seeing these around a lot, and I really want to get Crush on Coral, hehe. The packaging really remainds of Stila lip glazes! And the color payoff is really great! Lovely shades! 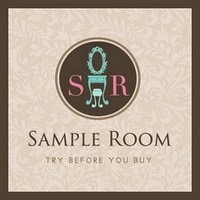 You have such a cute blog! I"m a new follower. 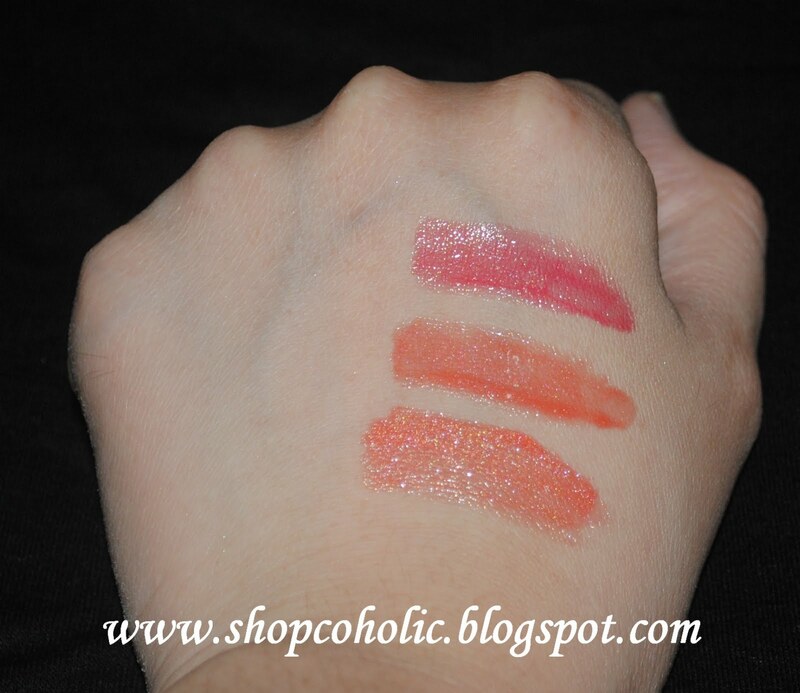 I love the color Crush on Coral and Peachy Sheen :) I will definitely buy one this weekend! 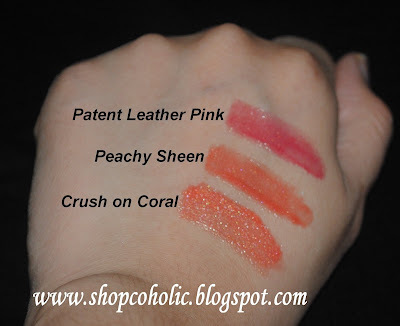 @ Peachy Pink - yes Peachy Sheen and Crush on coral looks kinda similar but the latter is more shimmery. Thanks for this. How is it compared to nyx lipglosses? @Charrie - Revlon is long wearing compared to NYX megashine and the latter is not as sticky as Revlon. Elle's Best Celebrity Hair and more..